The razza Bovina Romagnola beef, a heritage animal still very common in northern Italy, is raised usually on the Apennines, which makes this meat a true gem from Emilia Romagna. 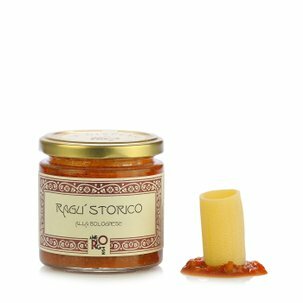 This ragù provides your dish with a delicious, intense, harmonic and well balanced flavour, with its use of the Delta del Po' tomato and Cervia salt, an important Slow Food presidium. 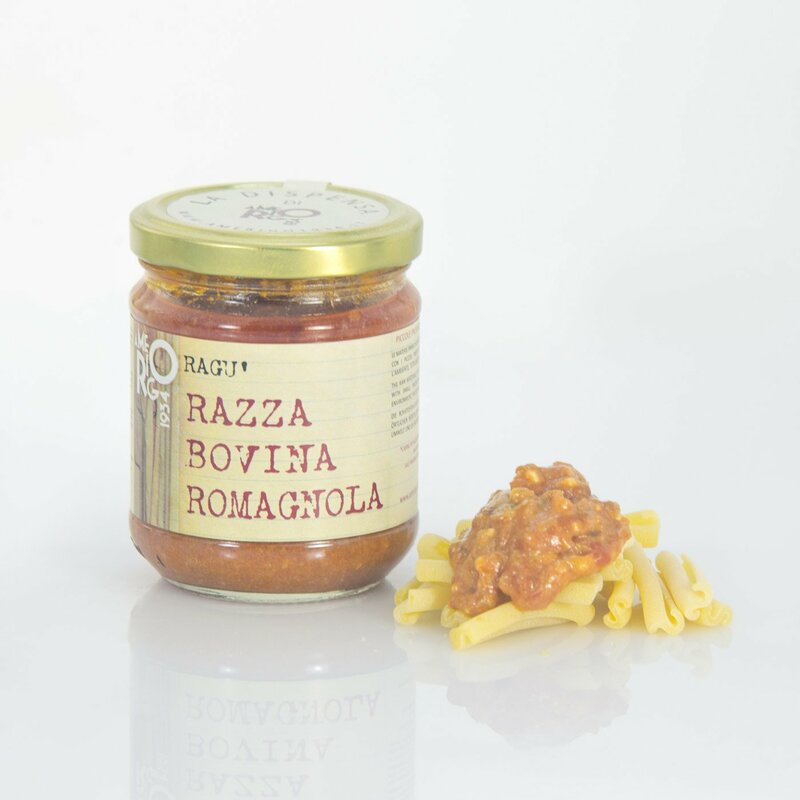 Ingredients Romagnola beef 44.2%, tomato passata, pork pancetta, extra virgin olive oil, carrot, Medicina golden onion, carrots, celery, double tomato concentrate, Cervia sea salt. For more information on product labels, please contact our Customer Service department. The information on the labels of the products may vary for reasons beyond our control, therefore, there may be discrepancies between the information on the site and that on the products delivered. Please always check the information on the product before consumption or use.